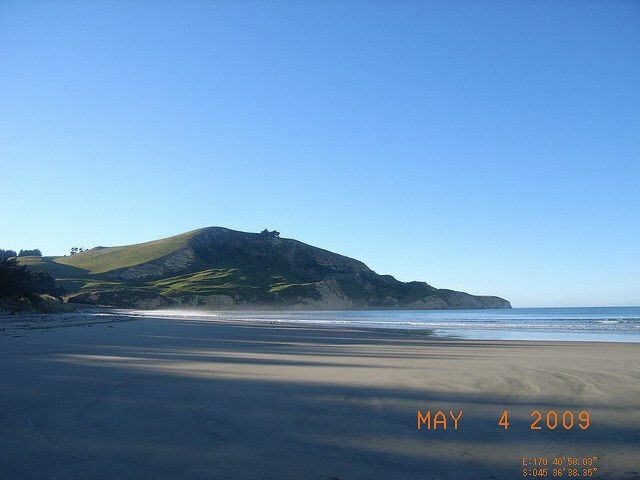 Waikouaiti Beach is located two kilometres drive from State Highway 1 and is accessed through Waikouaiti township. The beach has a scattering of local residents and the most popular all year round activity is fishing. Surfers also will use the beach during winter but swimming is isolated to the summer months. The beach is the shape of a squashed horse shoe and there will usually be a calm end of the beach. The beach can be dangerous during larger swells. Waikouaiti Beach slopes gently into the ocean and if there is a wave it is usually even and gentle making the beach a good swimming location. There is a motor camp located behind the central beach area and this is popular during summer months. The beach does become dangerous in southeast swells and swimmers should be careful under such circumstances. The beach has no Lifeguarding service. The beach is not the most popular surfing location in the area but never the less it gets good surfable waves in southeast swells. The beach is popular for people who are learning to surf. 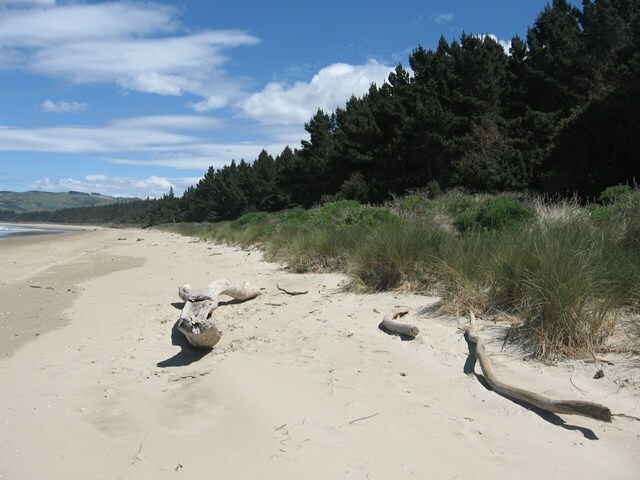 Waikouaiti Beach is commonly fished by locals in the area. 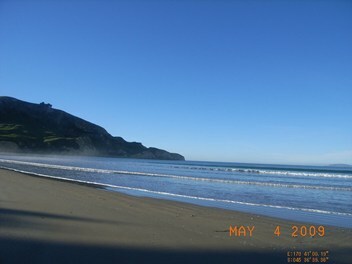 The headland at the northern end of the beach is popular as is the tidal inlet/rivermouth at the southern end near Karitane. Small boats can also be launched from the beach over the hard sand. The beach is our favourite playground, but it can also be a dangerous place. Learn about the hazards at Waikouaiti Beach and be prepared so you and your family can enjoy the sun, sea and sand safely this summer. Waikouaiti Beach is located 15 kilometres south of Palmerston and 42 kilometres northeast of Dunedin. The beach is four kilometres in length and extends from Cornish Head in the north to Karitane inlet in the south. The beach is made up of a light golden sand that becomes hard pack when covered by water. On the low tide the beach is used by harness trainers to work out their horses. 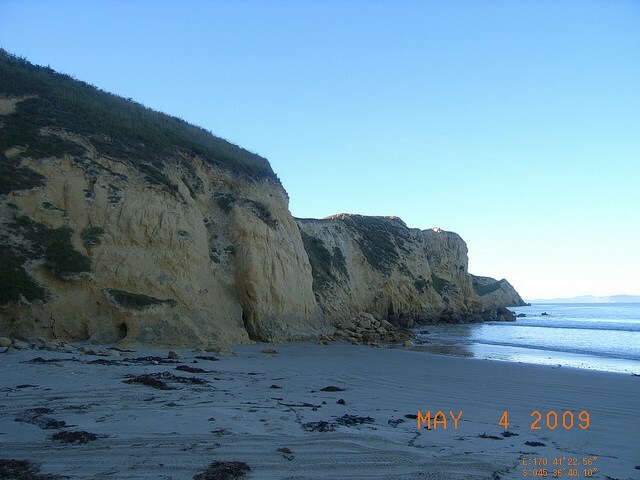 The northern end of the beach is backed by a gravel road that runs behind the beach. There is also a sports ground, a golf course just behind the beach and Waikouwaiti township is located one kilometre from the beach.